Pro-Ject Stereo Box RS Amplifier (DC) New Model! 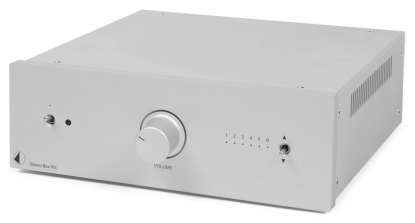 This real audiophile-grade integrated amplifier that strictly follows our less is more principle in a pure analogue circuitry. Therefore it offers 6 „strictly analogue“ inputs in a dual mono construction. We think, that combining analogue and digital inputs would compromise audio quality. If digital input options are needed, just add DAC Box RS and you will get a total of 14 analogue and digital input options and best possible audio reproduction! 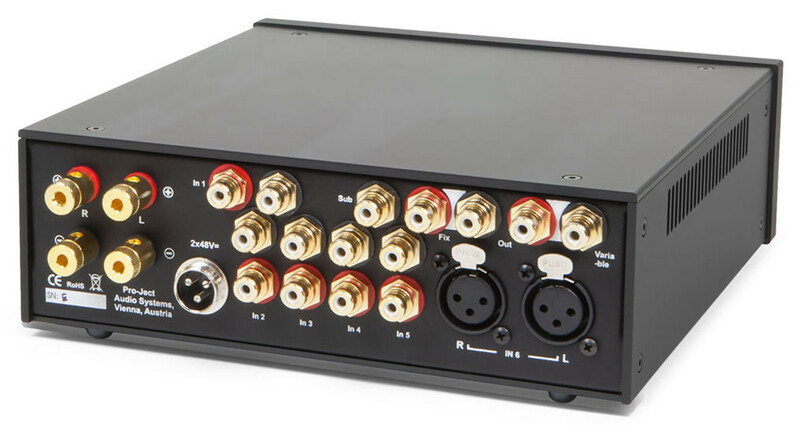 6 stereo line level inputs (5 RCA & 1 XLR) offer a lot of connection options. 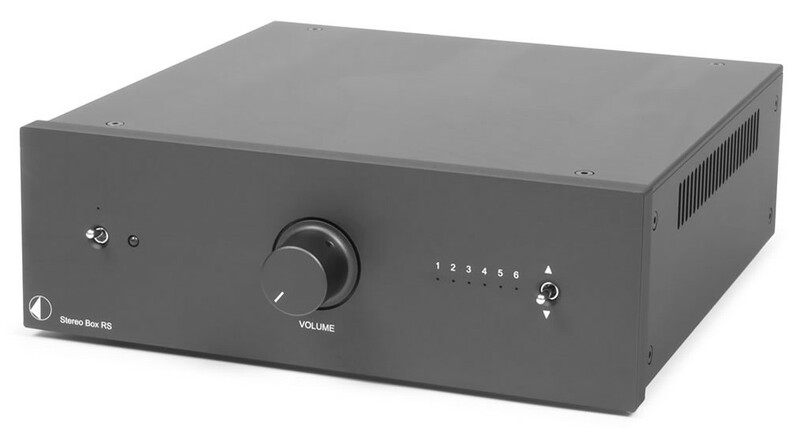 Stereo Box RS can be used as integrated amplifier or as pre-amplifier with an additional subwoofer output option. Pure analogue circuitry with low noise buffer input stages offers uncompromised audiophile playback. Elegant control buttons on front and IR remote, that comes with unit, makes usage a piece of a cake. The massive metal casing is beautiful and effectively protects against interference. Stereo Box RS is available in silver or black.